Opening up Final Girls we meet Quincy, the sole survivor of the Pine Cottage Murders, a woman who has tried to leave the night she lost several friends firmly behind and forge onwards with a 'normal' life. Now a prominent baking blogger, Quincy lives in New York with her boyfriend, Jeff and attempts to go about her day to day business, without the title of Final Girl. 'Final Girl' is a movie phrase, used for the last surviving girl in a horror film massacre, with news outlets having assigned the name to three girls over the past years - Lisa Milner, Samantha Boyd and of course, Quincy. 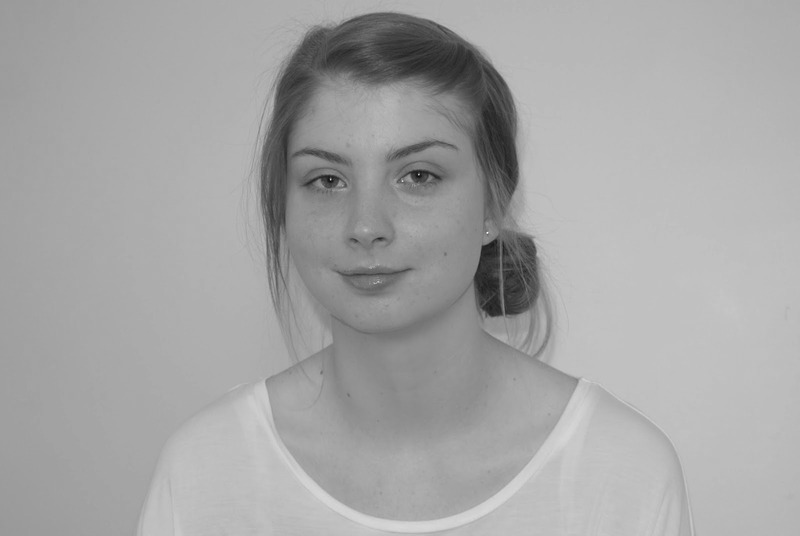 Despite having three separate traumas, the girls are linked and share a connection of sorts, not just through the media. The life Quincy has made for herself is soon shattered when Coop, the policeman who found Quincy on the fateful night at Pine Cottage, shares with her the knowledge that Lisa Milner has died. With the death of Lisa comes the arrival of Samantha Boyd to New York, in search of Quincy and in search of answers. Running alongside the current day plot of the aftermath of Lisa's death, there are also snatches and snippets of what occurred the night of Pine Cottage - memories that have been repressed for a long time are soon to surface, and all is not what it seems. 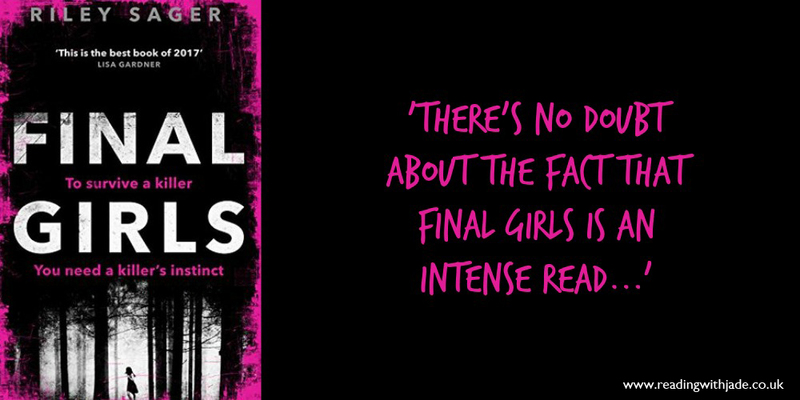 There's no doubt about the fact that Final Girls is an intense read - the plot is gripping, I was page turning in a frenzy, and I actually finished this book within a 24 hour time span. I picked the story up at every opportunity I had, and even though at points I thought I knew where the plot was going, I was left surprised by the conclusion. Overall I rated Final Girls 4 out of 5 stars, with a couple of things leading me to knock a star off. The main reason being that there was a certain character I would've liked to have known more about, and following on from that, although the ending packed the shocker punch, I do feel like it wrapped up very quickly in comparison to the build up. Also the use of 'babe' by Samantha - she ended literally every sentence with it, and it ended up really jarring me. That's probably being nit picky, but I thought I'd share it anyway. Despite those points, I did really enjoy the writing of Riley Sager, especially the use of short & sharp sentences and suspense filled chapters. I'll definitely have my eye out for future books by Riley Sager. This is a thriller I've been thinking about a bit. I've seena few good reviews and sounds like an intense read- and I've been enjoying thrillers lately. Nice review! If you're in a mood for thrillers, then I recommend giving this one a read. I really enjoyed this book as well. I agree with you about her writing style too. She'll definitely be an author I look forward to reading more from. A debut author I'm excited to see more from!